Finest New Zealand (Wanganui) thick 100% serge fine grain leather. 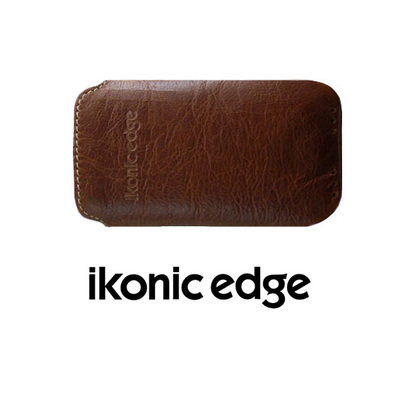 This offers excellent protection and durability. 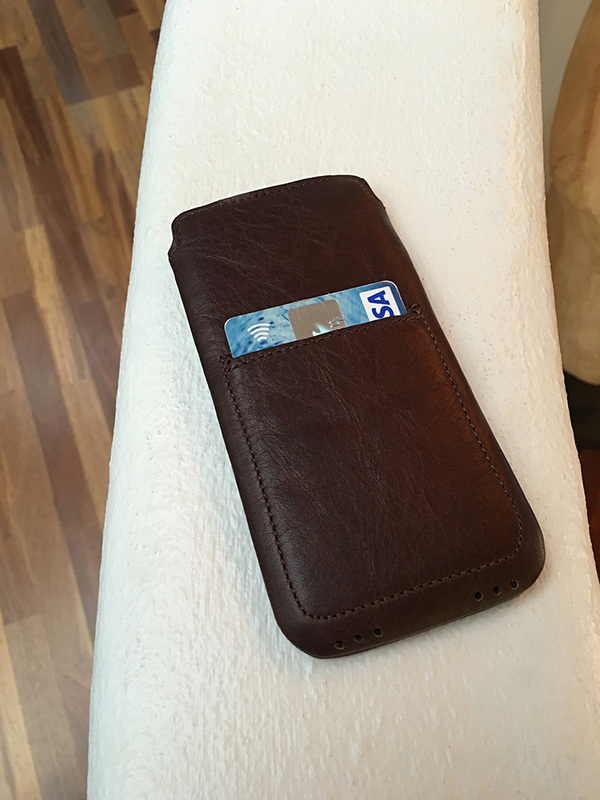 (note: this is not an imitation leather such as Koskin as commonly used for cases and consumer goods but 100% serge fine grain leather that will look even better with use over time). Free Worldwide Delivery. 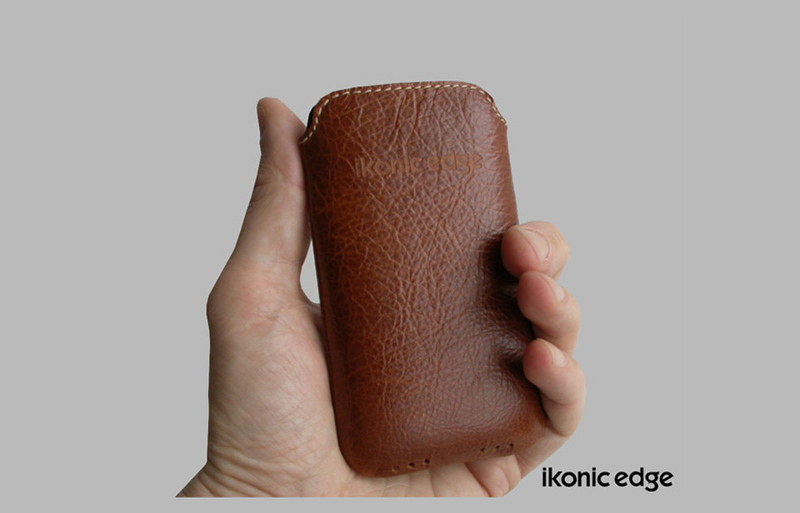 Finest New Zealand (Wanganui) thick 100% serge fine grain leather. At .7 thickness, it offers excellent protection and durability. (note: this is not an imitation leather such as Koskin as commonly used for cases and consumer goods but 100% serge fine grain leather that will look even better with use over time). Micro Suede Lining - scratch free (This is glued and sewn to ensure lining doesn't part from the leather). 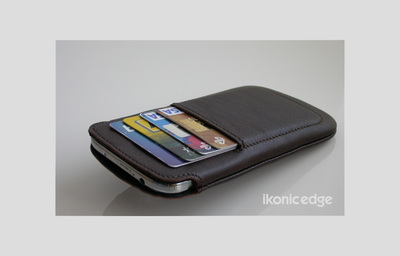 Super slim fit designed specifically for each model of iPhone. Our pouches are not generic. They are designed for each model. Designed for quick access to iPhone makes this case easy and convenient to use. 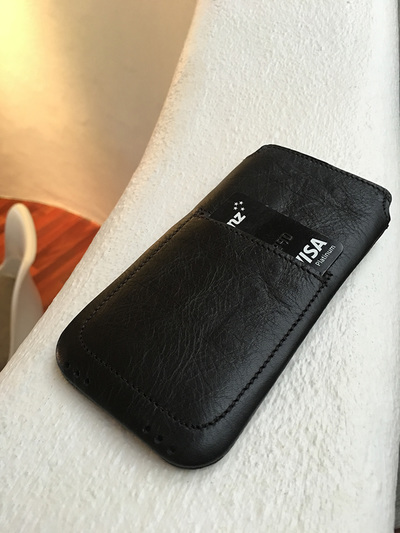 As an iPhone user I searched for months to find a pouch or case that I liked. 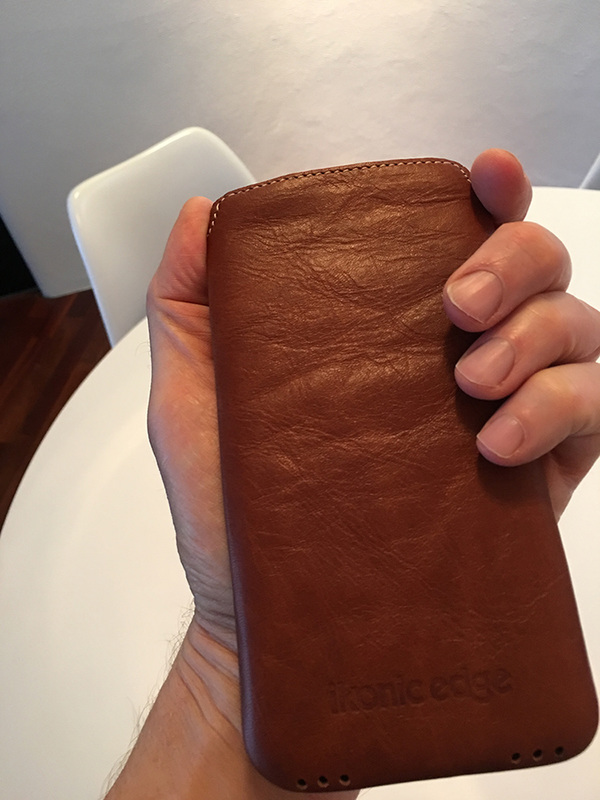 I purchased a number of the better pouches and cases on the market and I still wasn't satisfied. They added unnecessary bulk to the iphone which goes against one of the advantages of the iPhone. As a male I wanted a lean pouch that I could use for carrying in a trouser or jacket pocket. I also wanted a high grade 100% pure leather pouch. I didn't want one of the rubber skins on the market as I find these just camouflage the iPhone slick looks. The iPhone is one of the the most desirable looking phones on the market with its sleek finish, why spoil it by wrapping it up in rubber?. I also wanted a pouch that allowed me to remove the iPhone quickly and easily. You wouldn’t think that this would be a huge ask. But it proved impossible to find. 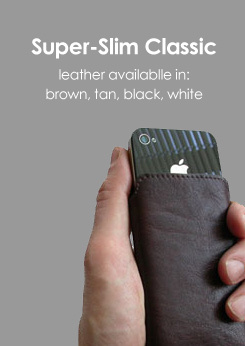 So, you guessed right - I had to design my own ultimate leather iPhone cover. And thus the SuperSlim was born. 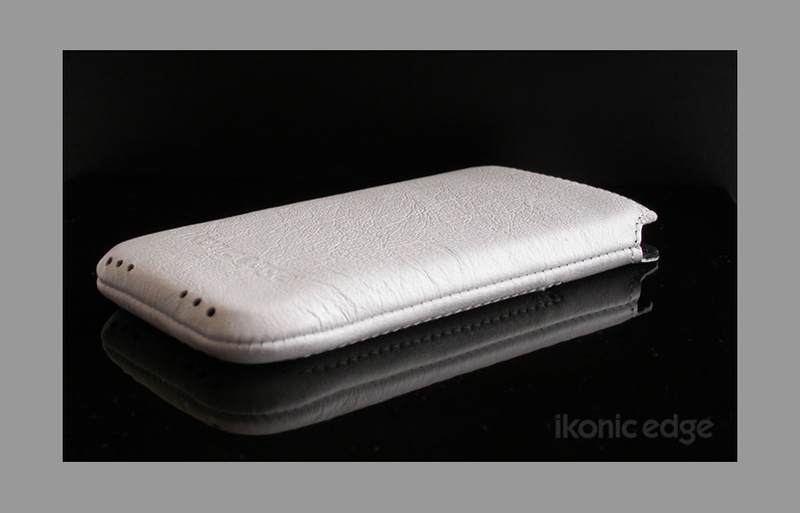 The Super-Slim protective pouch is for those who dislike the increased bulk that most protective pouches and cases create. One of the great things about the iPhone are its slim lines. Why make it look bulky? 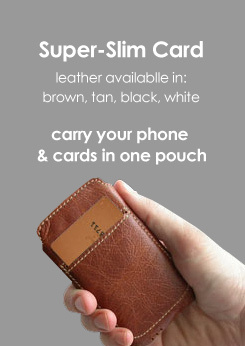 The Super-Slim is the slimmest sleekest pouch you will find for any mobile device. The Super-Slim allows you to pinch one end of the pouch and it simply slides out. It is also a very protective pouch constructed of soft 100% pure serge leather with the inner interior lined with Micro-Suede scratch free lining. 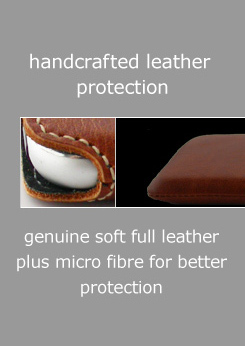 Using the Micro-Suede also stops the leather from stretching, ensuring a perfect fit every time. 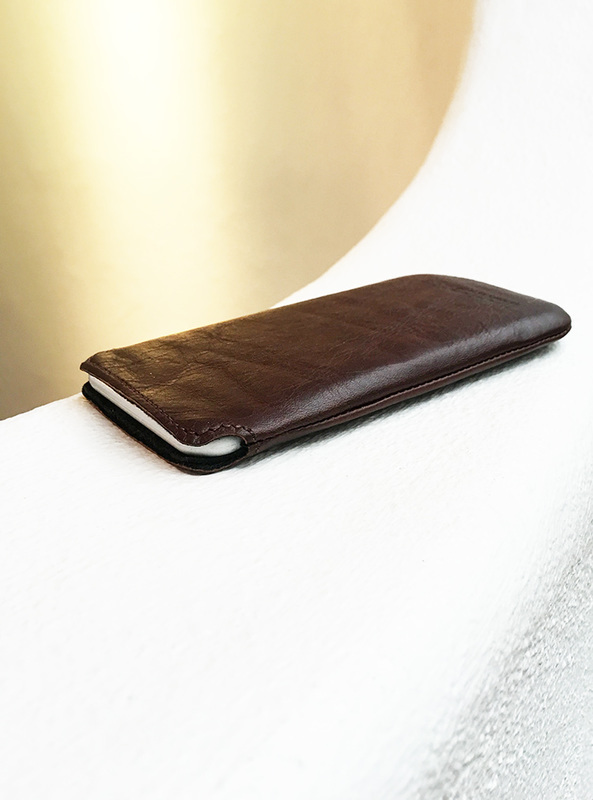 With the curve-hugging fit that this serge leather pouch provides, you will have the look and feel of absolute luxury. 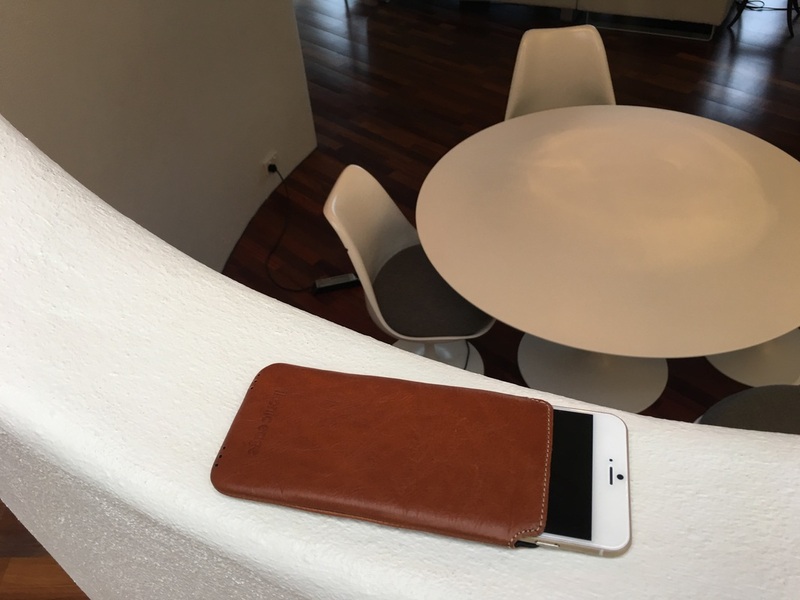 "This is my second cover from you - it fits my iPhone 5 like a glove. 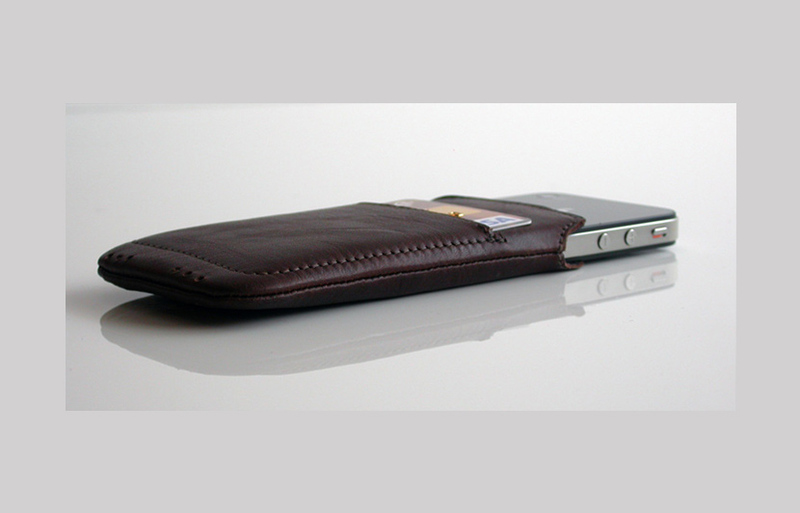 Cheers"
"I just received my Iphone 5 leather slim case and wanted to say that I'm more than happy with the product. 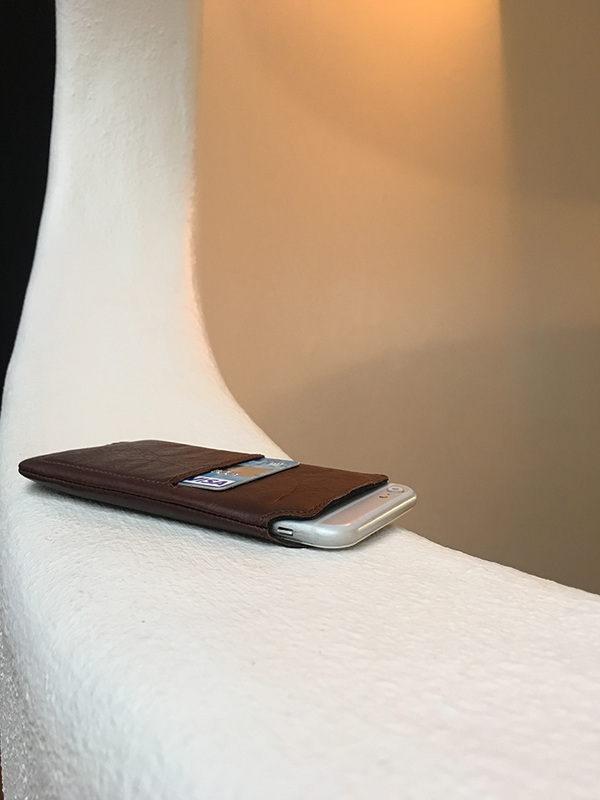 The leather is soft to the touch and my iPhone fits nice and snug. Thank you for the great service and a wonderful product." 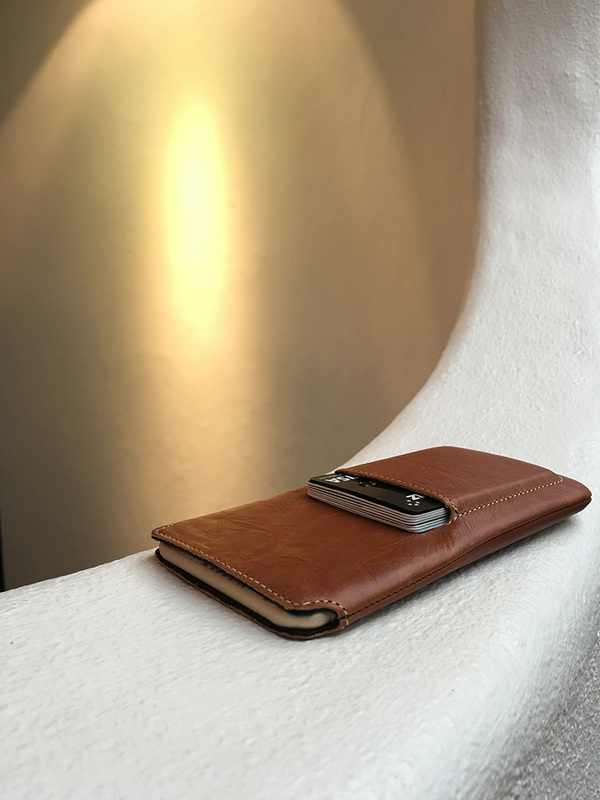 "Thanking you for producing such a nice compact cover for my iPhone. 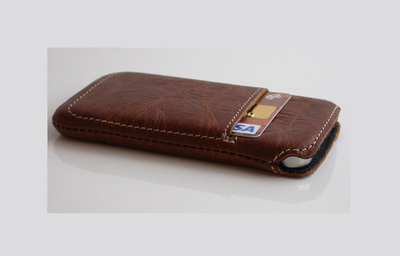 This time I bought the card holder version and have done away with my wallet." "Thanks for the reply, I received it today. It's the second case I've gotten from you and they are both very nice. I try to show it off as often as possible, but unfortunately, too often people want to use those ugly and bulky plastic cases for their iPhone. Whatever, I love it and I wish I could have come to New Zealand to pick it up."